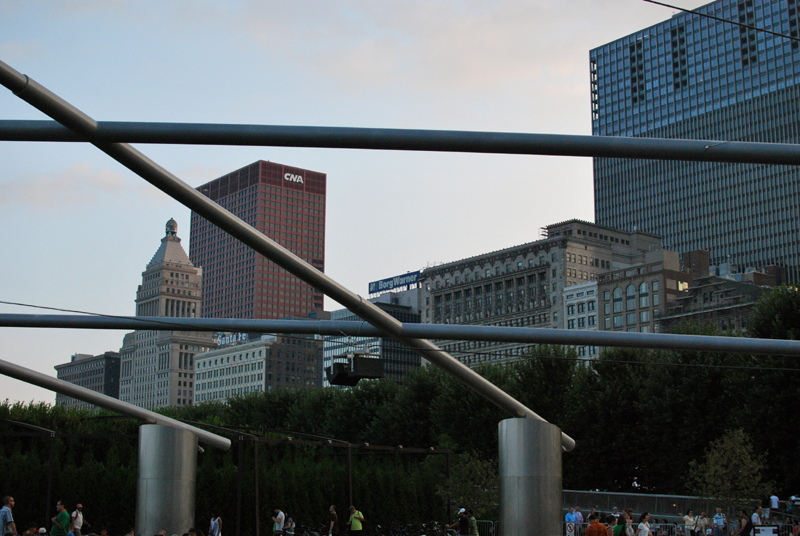 One of the grandest things about living in Chicago is the park system. 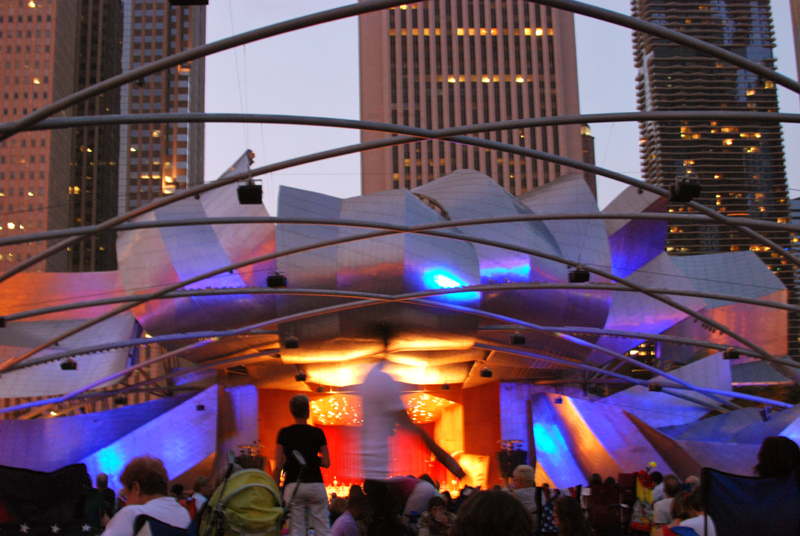 Aside from the beautifully-tended landscapes all up and down the shore of Lake Michigan, there are constantly free events for the public to enjoy. During the Summer, you can find something to do every day of the week. Free movies? Free concerts? Free dance performances? Free exercise classes? Check, check, check, and check. 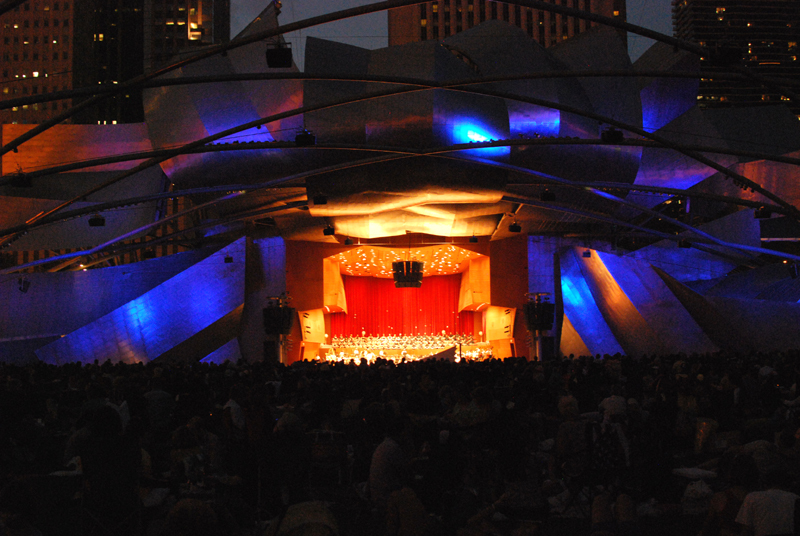 The crown jewel of these venues is Millennium Park, in the heart of downtown. 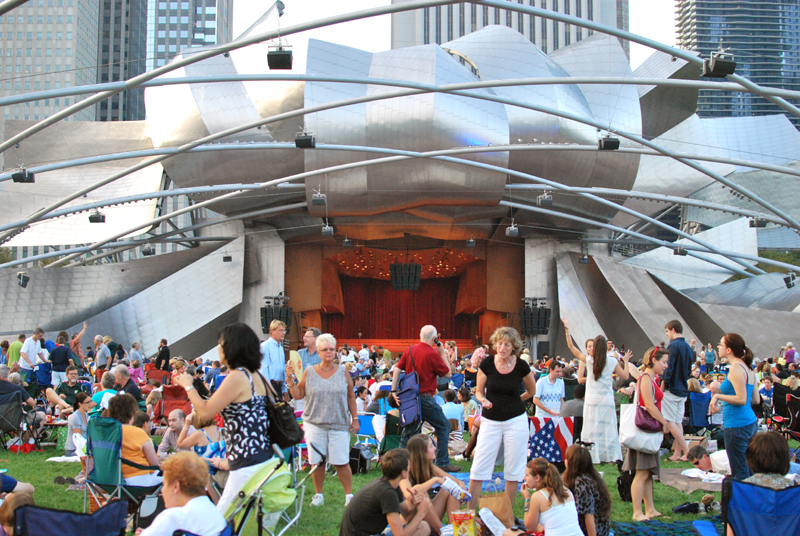 There, the Pritzker Pavilion, with its exuberantly swooping facade, hosts a daily (sometimes twice a day) concert for lovers of all types of music, from Classical to Hip-Hop and everything in between. Though there is proper seating near the stage, I’ve never used it. Further back is a gorgeous lawn under a loose and arching grid that suspends speakers overhead, giving pitch-perfect sound no matter how far away from the stage you have to sit. 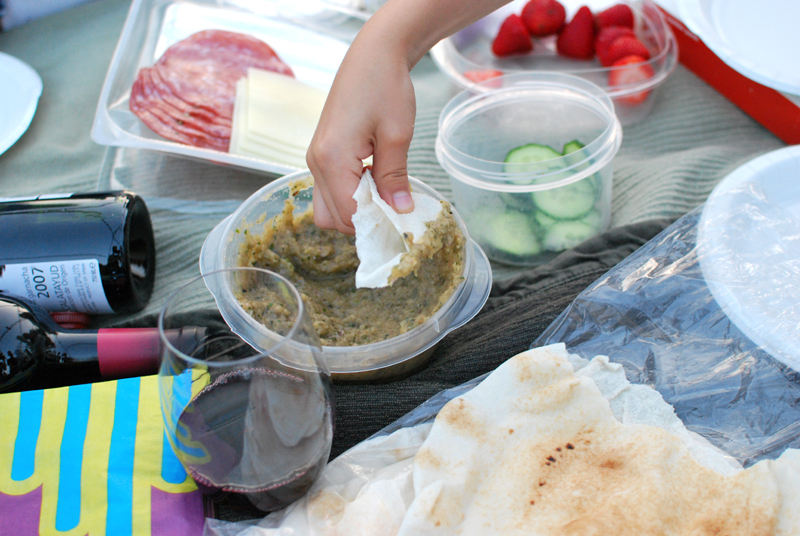 Bring a blanket, bring a crowd, and bring a picnic. (Did I mention you can bring food and wine? Well, mostly you can.) 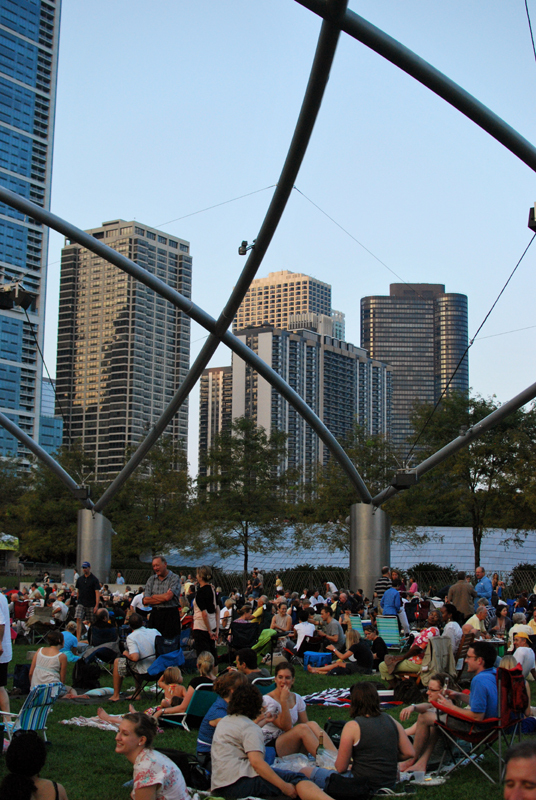 Sit and enjoy one of our breathtaking Chicago Summer nights, looking up at the surrounding skyscrapers. Watch the sun set. See the lights flick on and then off in the offices within. Be grateful you’re not in one. 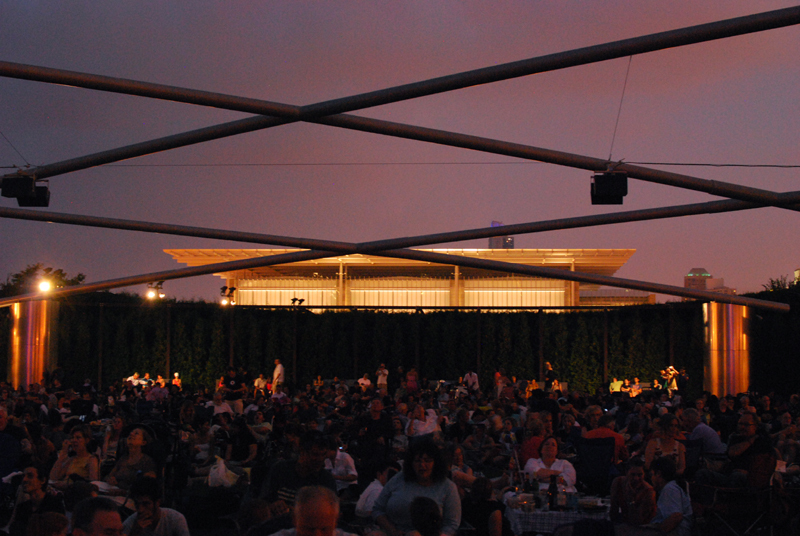 Recently, a few friends and I decided to get together for an evening of music and food at the Pritzker, as we often do when the weather agrees. And, faced with the glut of cheap eggplant at the store, I decided it was the perfect opportunity to try out a recipe from one of my best-loved new cookbooks (new to me, anyway), Susan Spicer’s Crescent City Cooking. Chef Spicer is the mastermind behind my Mom’s favorite restaurant, Bayona; and in a food capital like New Orleans, that’s saying something. Like the food at her restaurant, the cookbook is filled with uncomplicated and carefully-tuned recipes that make the absolute most of each ingredient. Nothing is fussy, but everything is good enough to serve to honored guests. I can’t stop cooking out of it. The recipe for Eggplant Caviar caught my eye immediately, mainly because of the accompanying photo of a charred, burnt-paper-skinned eggplant, cut open to reveal a creamy and slumping interior. I didn’t really care what else it involved, I wanted to scoop up that eggplant and eat it with a spoon. 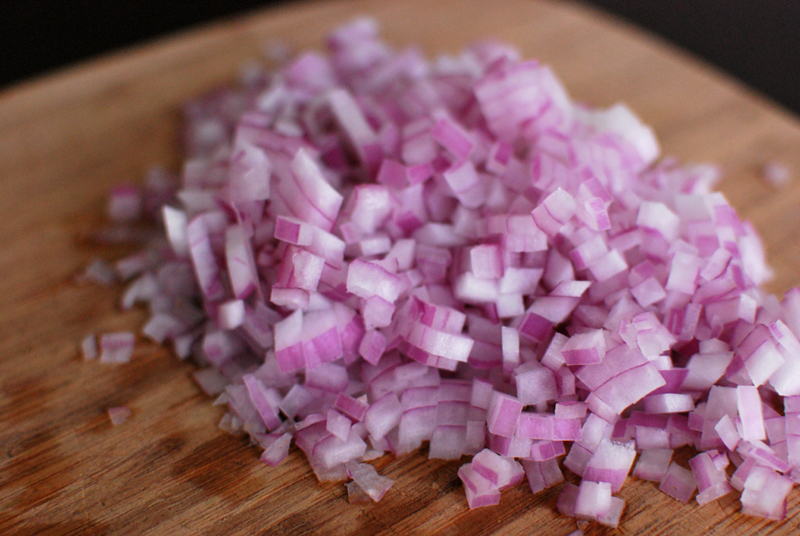 I discovered that the method detailed in the recipe (chop everything by hand) left the dip with bits of red onion that were too large and too abundant for my tastes; they overwhelmed everything else. Beautiful, yes, but if you are sans food processor, I suggest reducing the amount of onion by up to half. A quick spin in the food processor to tame the pungency, though, and it was perfect. This is probably one of those recipes that benefits from an overnight rest in the refrigerator, giving the flavors a chance to become acquainted and meld together. I’m sure it would become positively transcendental. But I’ll probably never know for sure, since it disappeared completely at the picnic, and I can’t actually imagine having it around for more than a few hours and keeping my hands off the stuff. As the sun went down behind the city, the changing light transformed the park. The stage turned into a luminous jewel box, all crimson and gold. 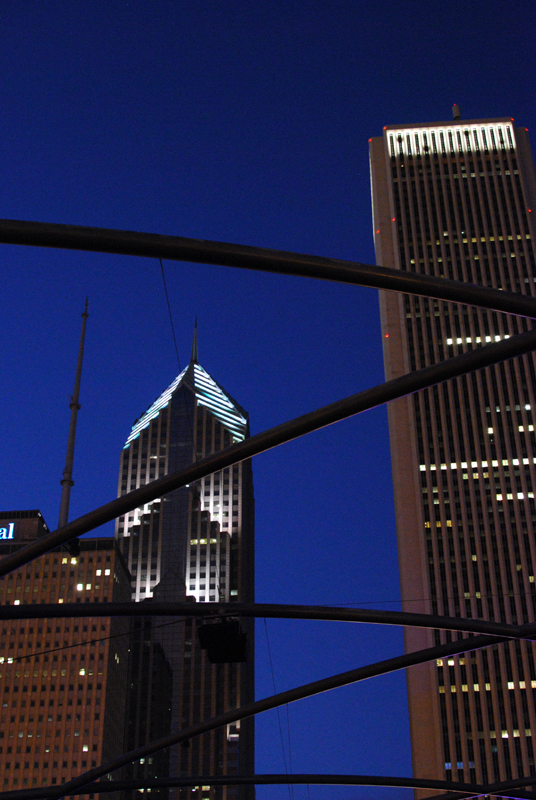 Behind us, the new Modern Wing of the Art Institute hung glowing above the trees. We finished off the wine and the eggplant and the strawberries and the bread, and we hung around long after the music stopped thrumming from the speakers above. The moon came out, and the sky dissolved into that perfect, rich indigo. And we left, and we were grateful. Let’s do it again next week. Be sure to not skip the first step, pricking the eggplant with a fork. If you don’t do this, your eggplant will explode in the oven, and you will have bigger problems than a lack of eggplant caviar. 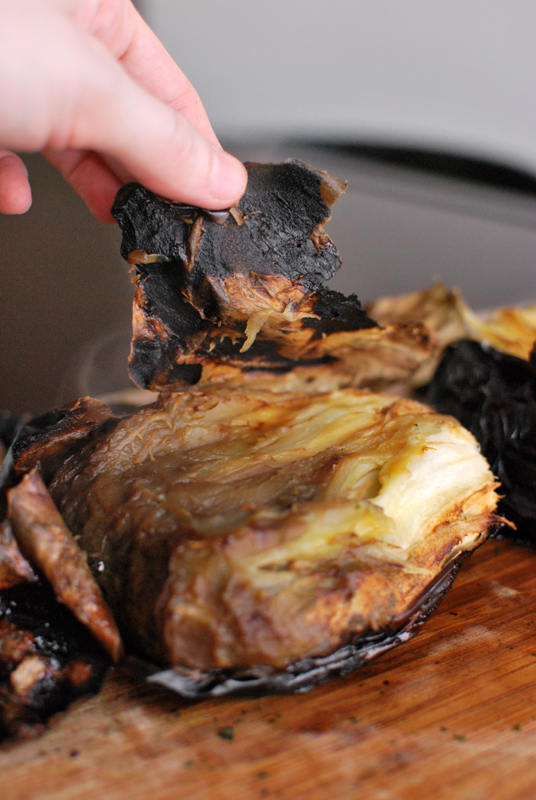 And don’t be afraid of getting the eggplant too close to the broiler; you want to really char it. I put mine about 4 inches away from the heat, and the flesh began to slump long before the skin blackened properly. 1. Turn the broiler to high, and let preheat for 5 to 10 minutes. Pierce the eggplant a few times with a fork. Broil on a rimmed baking sheet very close to the heat until the skin is charred and black, turning about every 5 minutes, cooking 15 to 20 minutes total. 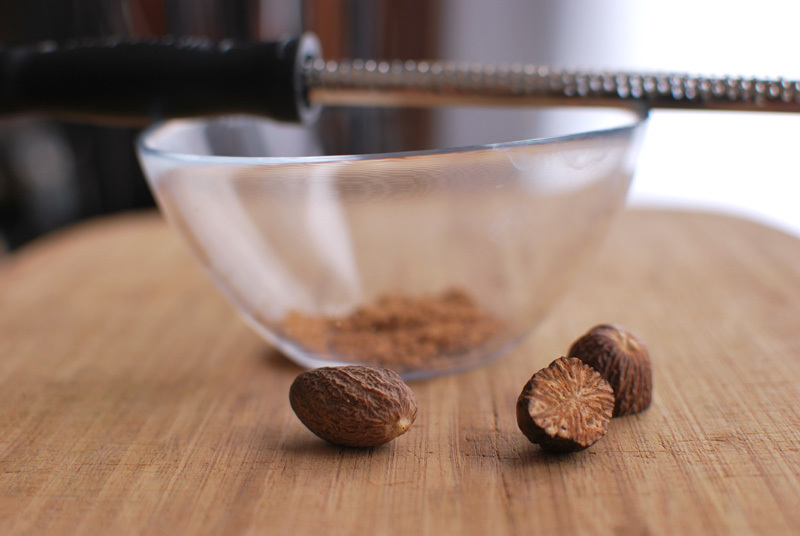 The flesh should feel very soft, and the juices that run out will turn syrupy and thick. Let cool. 2. Meanwhile, prepare the other ingredients. 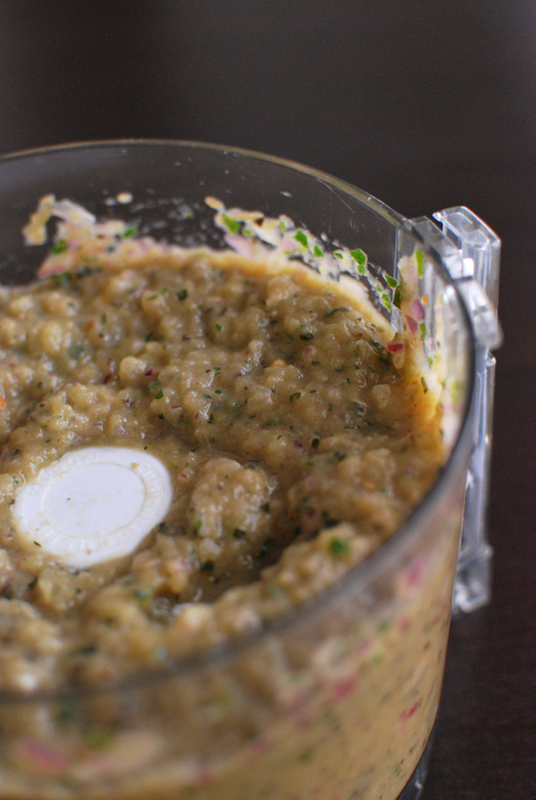 If using a food processor, roughly chop the onion, garlic, basil, parsley, and chili pepper, and place in the bowl of the processor. 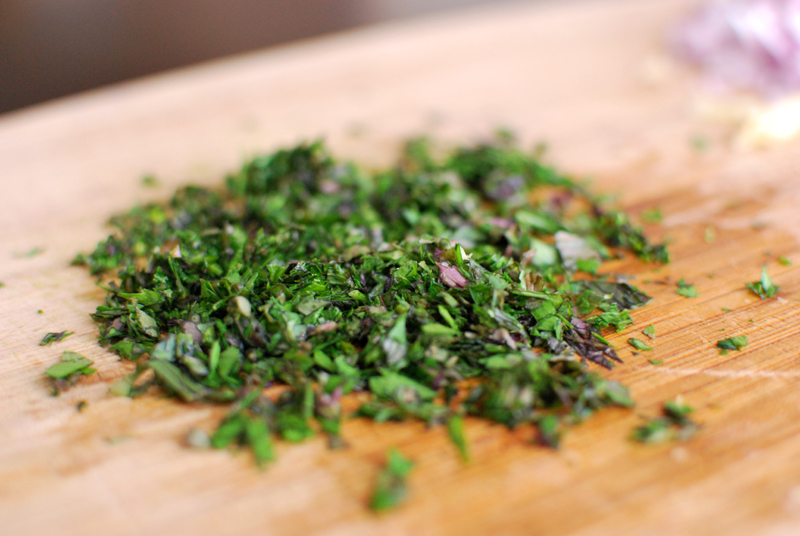 If making by hand, chop everything as finely as possible, and place in a large bowl. Add 2 tablespoons olive oil, and lemon juice. 3. 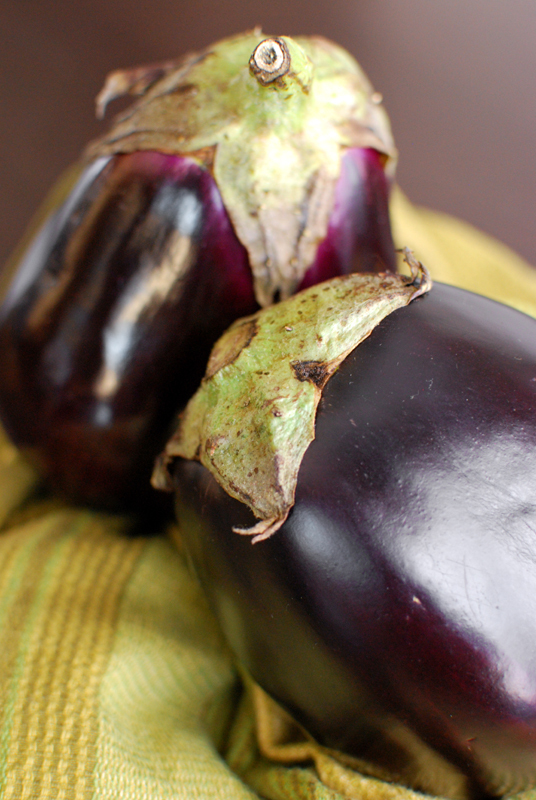 When the eggplant is cool enough to handle, peel the skin away from the flesh. Cut the eggplant in half, and remove any seeds that are large and easily visible (some seeds are small and not easily distinguishable from the flesh; these will not be so bitter and are okay to leave in). Roughly chop the flesh, and add to the other prepared ingredients. Purée in the food processor, or mix by hand. Season to taste with pimentón, salt, and pepper, and add extra olive oil if desired. Serve warm or at room temperature, with pita bread or toasted baguette slices. Normally, this is where I’d insert photo after photo of lovely ingredients. 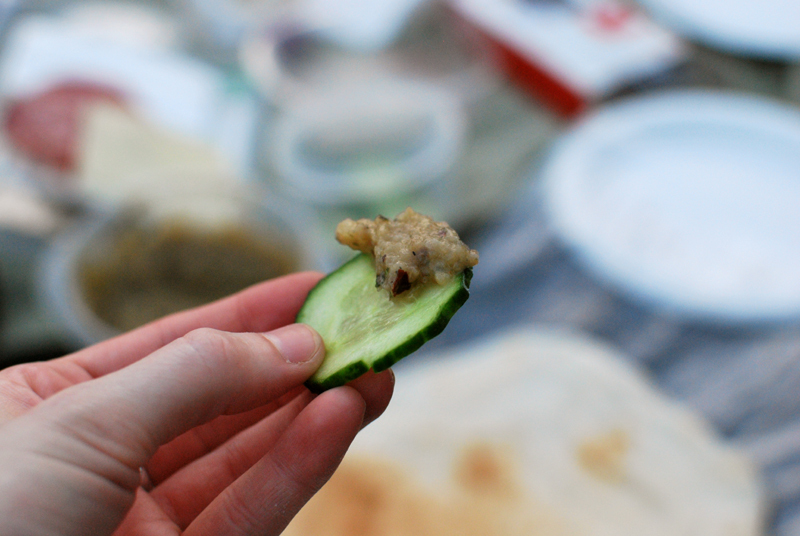 Imagine then, the plump aubergine, the cream-colored garlic, the crisp onion. Imagine the anchovies, swimming eerily in olive oil. Imagine the cumin seeds, the sunny lemon, the putty-hued tahini, the jarring red of the tomato. You’ll have to imagine these things because I was foolish enough to think that this thrown-together mess wouldn’t be worth mentioning. While running an errand yesterday afternoon, I realized that I hadn’t even thought about dinner yet. 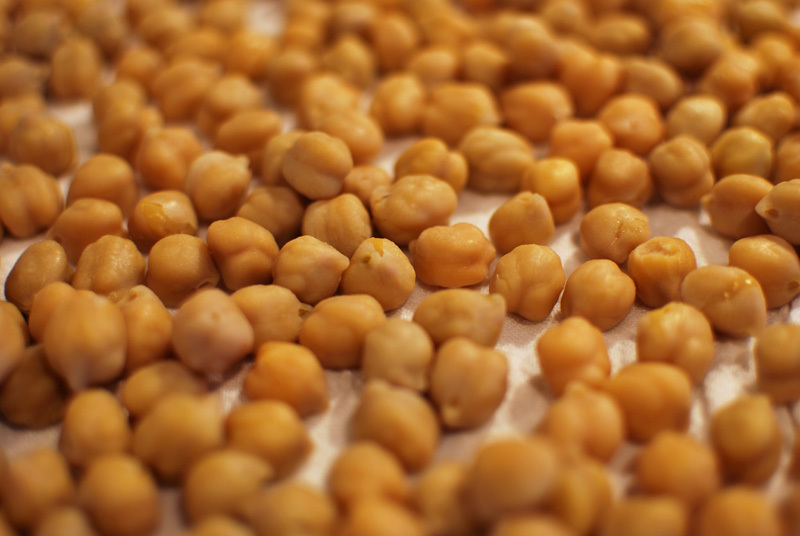 Not wanting to go out a second time for any ingredients, I quickly scanned my mental inventory of the refrigerator, and remembered the jar of tahini left over from these beauties. Stopping in at the grocery store, and without really knowing why, I picked up one eggplant and one tomato. Something about the persistent (though lessening) chill in the air suggested something roasted. 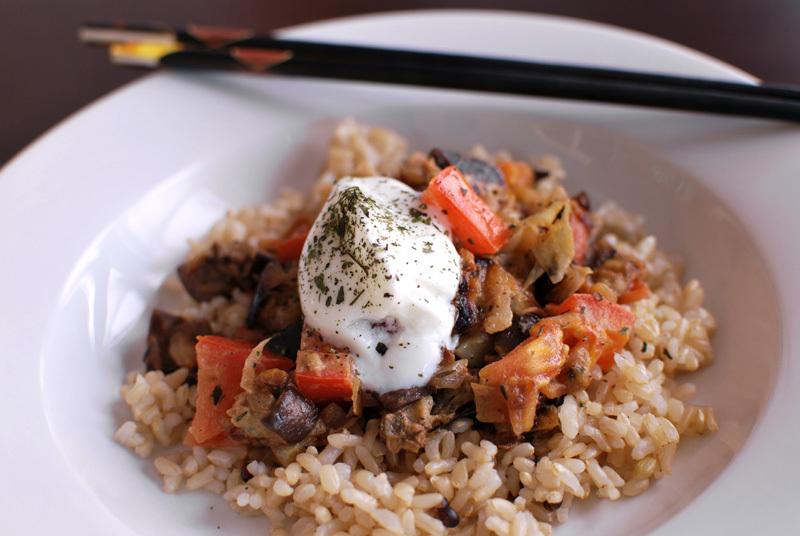 Eggplant seemed to match the tahini that nagged at me to be used; the tomato would lend freshness and acidity. Somehow. Back home, I surveyed the refrigerator, pulling out anything that seemed like it would play nice. Out came the tahini. Out came a container of cooked brown rice. Three lonely anchovy fillets in a jar, risking expiration, joined in. There was an onion, chopped and frozen. 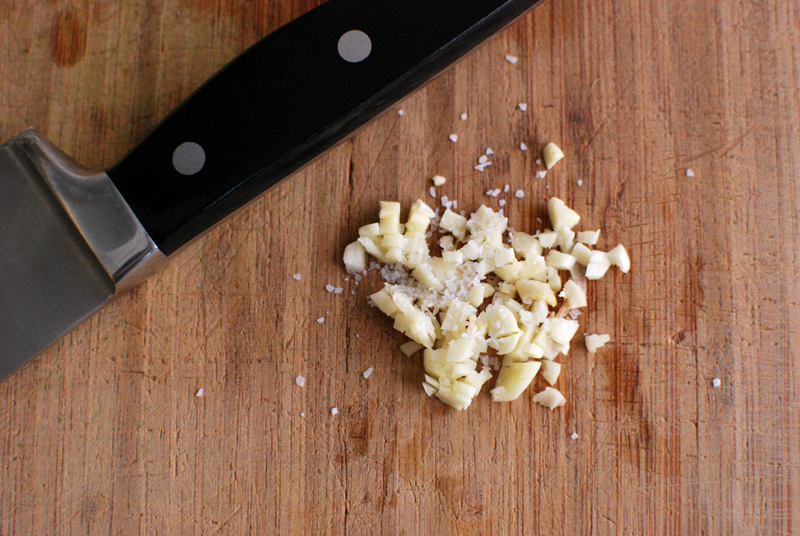 Cloves of garlic and a naked, previously-zested lemon followed. And then I let them tell me what to do. 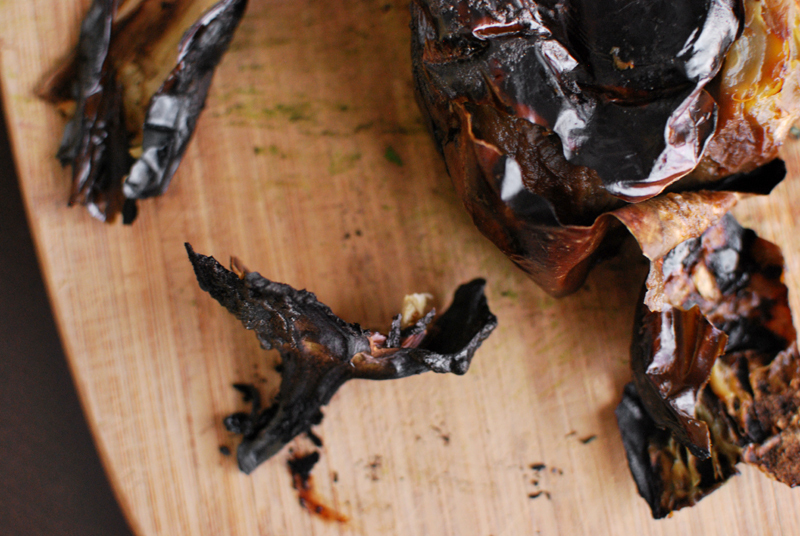 The eggplant demanded to be chopped, and roasted with the onion and the garlic. The few anchovies decided that the hot oven was far too much for them to handle, and asked to be melted into some sort of sauce. The tahini insisted on being used raw, with no heat applied, as did the tomato, while the rice politely offered to play a supporting role. 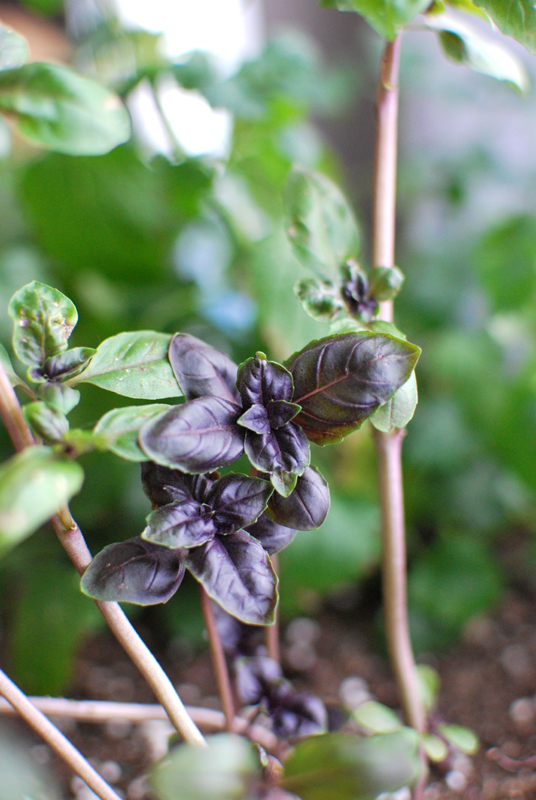 From the spice cabinet, cumin seed, dried thyme, and oregano cried out to be used, and I was more than happy to accommodate them. I knew I couldn’t exactly go wrong with roasted eggplant; but the scents wafting from the pan as the anchovies gently simmered with the cumin, mingling with the sweet smell of the caramelizing onion and eggplant, told me that I had something special on my hands. 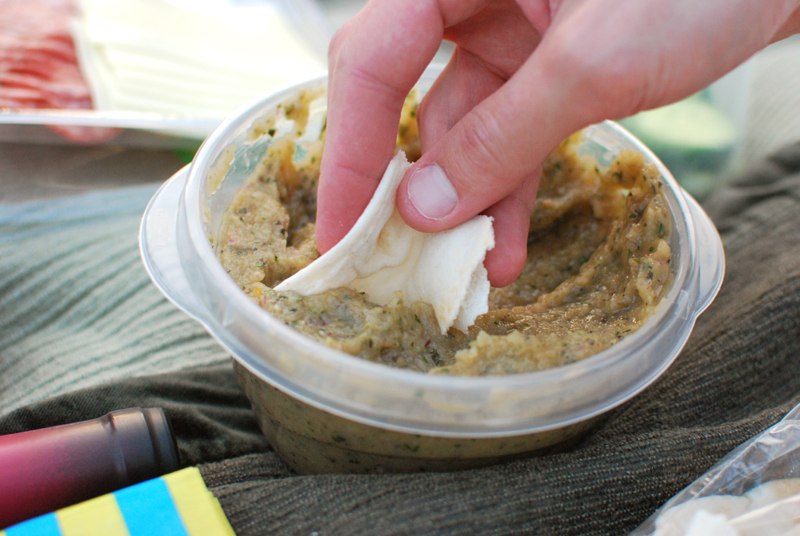 But after tasting the finished sauce, the boldness of anchovy mixed with nutty tahini and vibrant lemon, punctuated with the smoke of cumin, and I knew I couldn’t keep this one to myself. 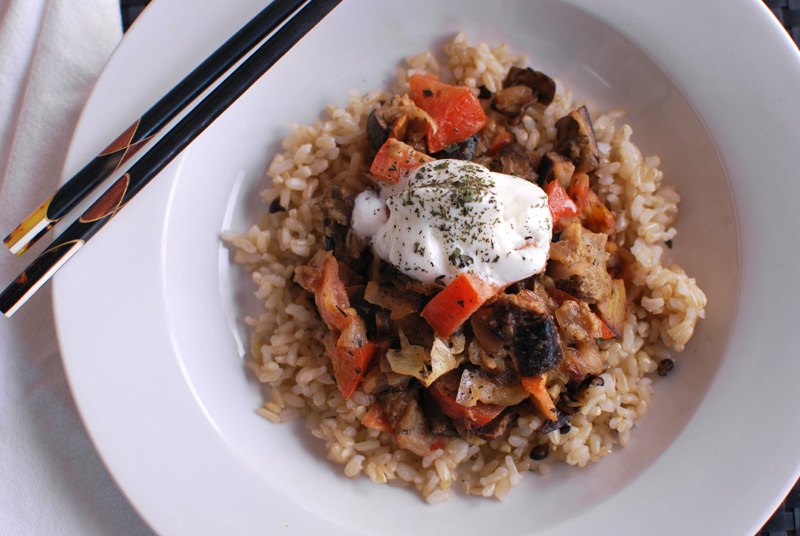 With the somehow meaty flavor of the roasted eggplant, over a plate of brown rice, it was the best kind of simple dinner: the one you didn’t expect could possibly taste so incredibly good. And then, I started kicking myself. Why, oh why, hadn’t I taken even one picture? 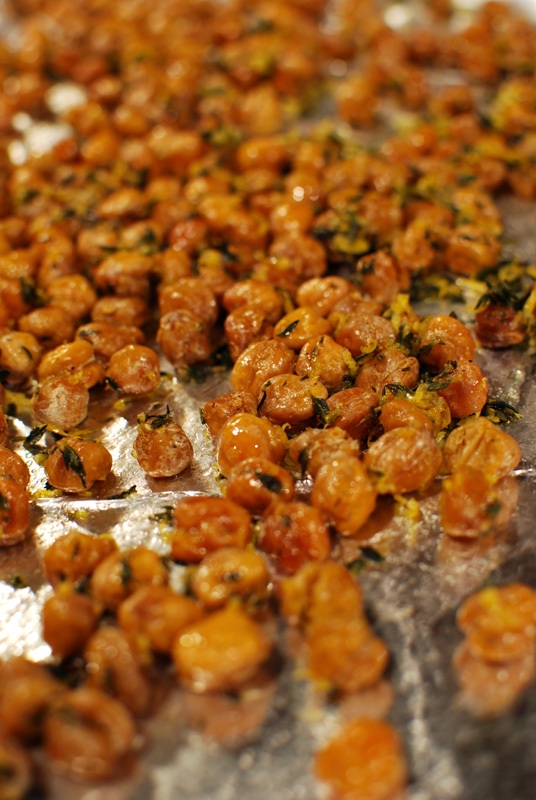 This earthy mixture of roasted vegetables is extremely versatile. 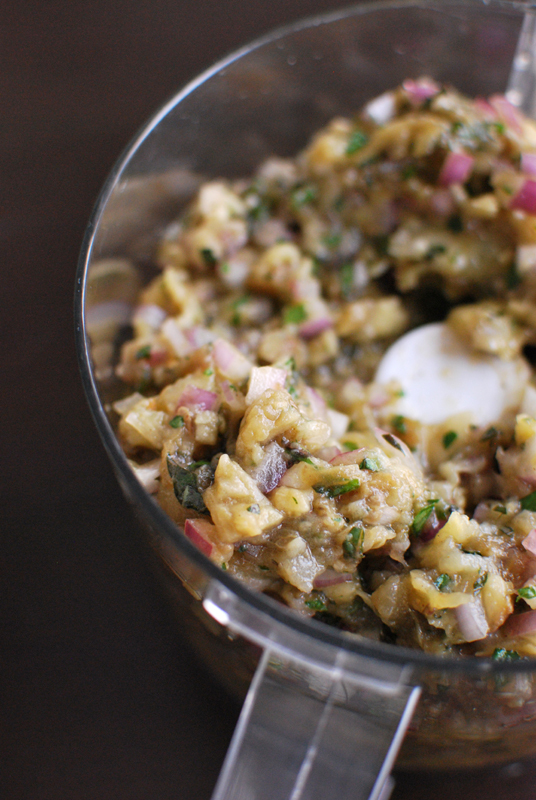 Serve it over rice, with a dollop of yogurt and a garnish of parsley, as pictured; serve it tossed with pasta and bits of salty feta; purée it and garnish with mint for a dip to go with toasted pita wedges; use it as is for a flavorful side dish with simply-prepared pork, fish, or chicken. 1. Preheat the oven to 450º F. While the oven heats, prepare the vegetables. 2. 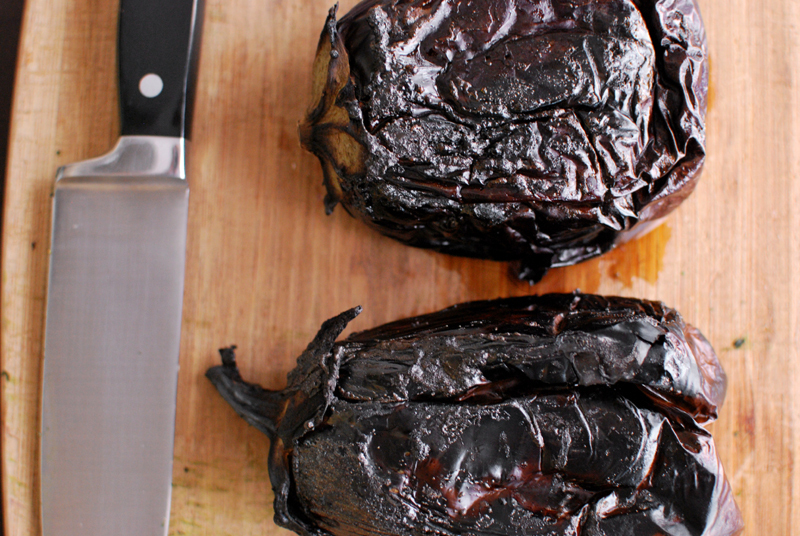 Toss the eggplant, onion, and garlic together in a large roasting pan. Add 2 tablespoons of the olive oil, and toss to combine at once, before the eggplant soaks up the oil. 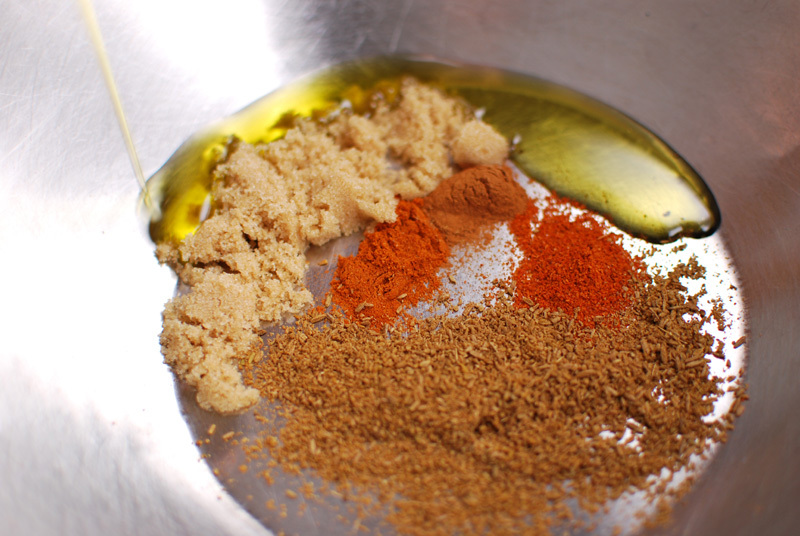 Add the remaining tablespoon oil if the mixture looks very dry; do not be tempted to add any more than that, however. Add the thyme, oregano, cayenne, and bay leaf. 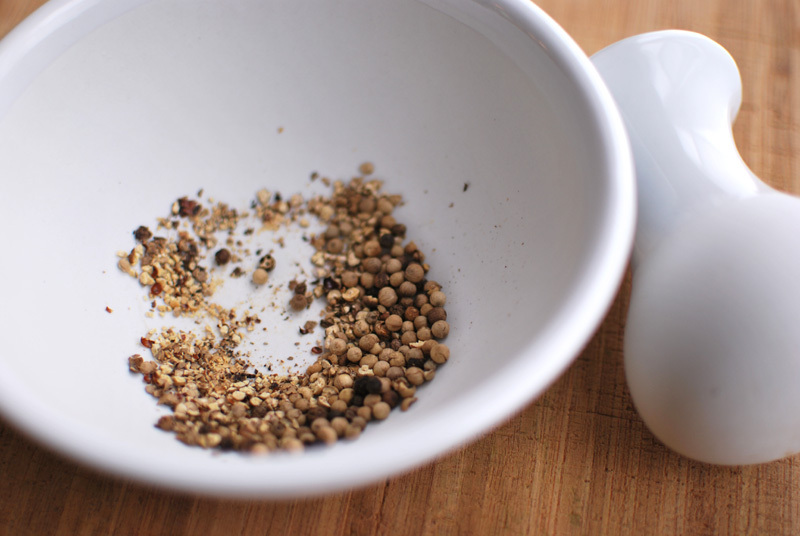 Salt and pepper to taste, and toss until incorporated. 3. 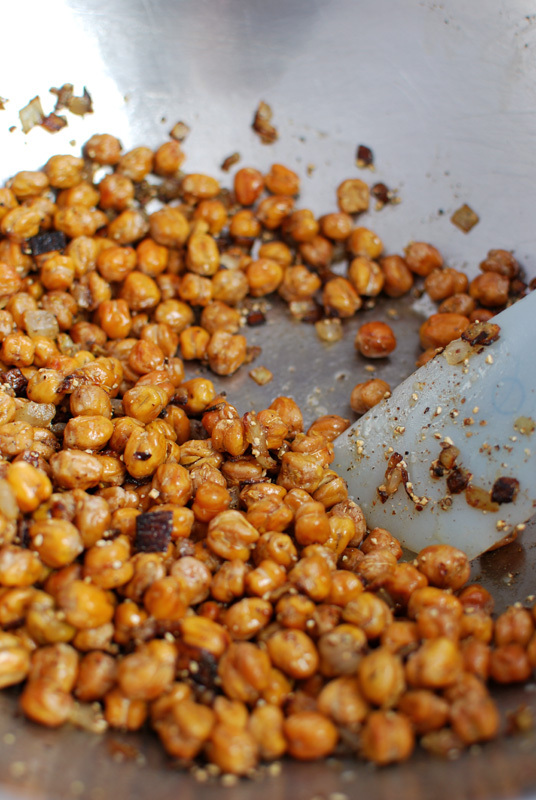 Roast the mixture at 450º F for 30 to 40 minutes, or until well-browned and very soft. Set aside to cool slightly. 4. While the vegetables cool, make the sauce. Heat the anchovies in their oil in a small pan over medium heat. 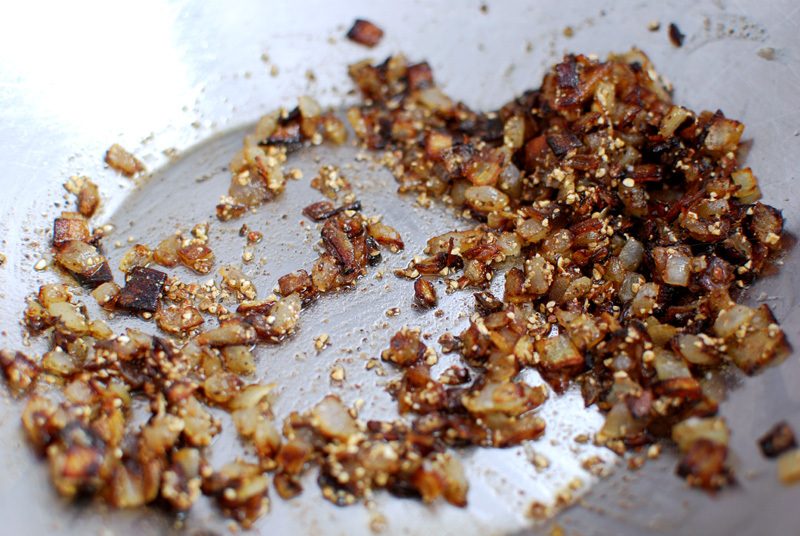 When they begin to sizzle and break down, add the cumin and reduce the heat to low. Let cook until the cumin is fragrant, 2 to 3 minutes. 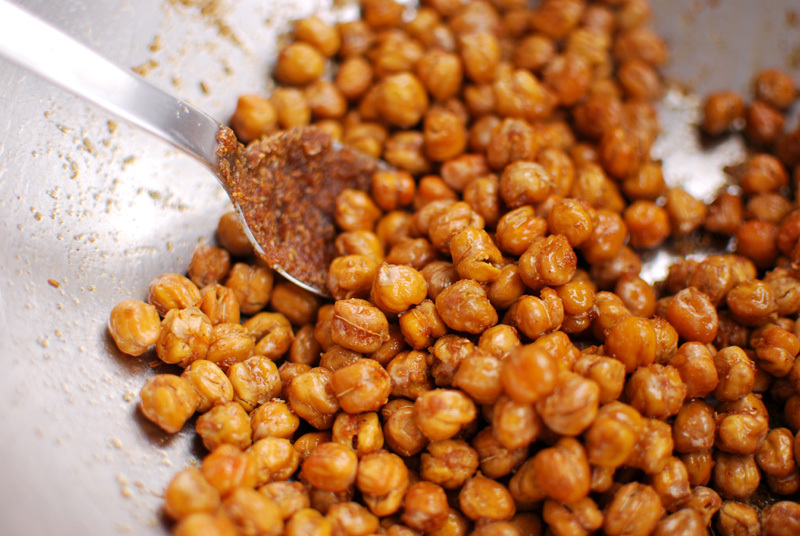 Remove from the heat, and add the tahini. 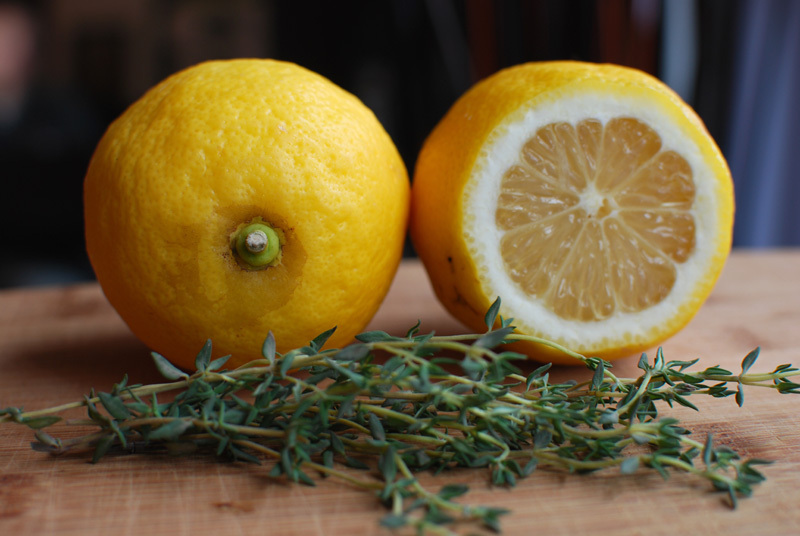 Stir until smooth, then stir in the lemon juice. Taste, and add salt and pepper if needed. 5. Pour the sauce over the roasted eggplant. Add the diced raw tomato, and toss. Serve warm, or at room temperature.